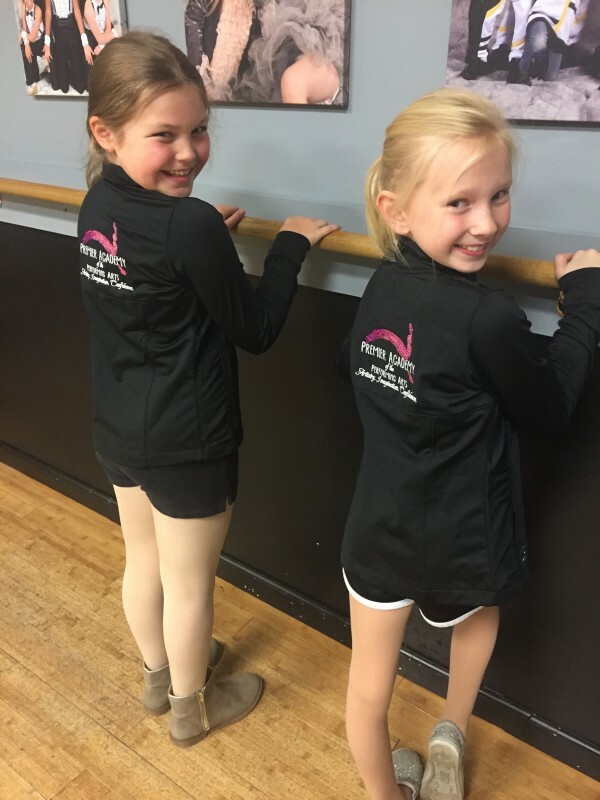 Order your team warmup today! 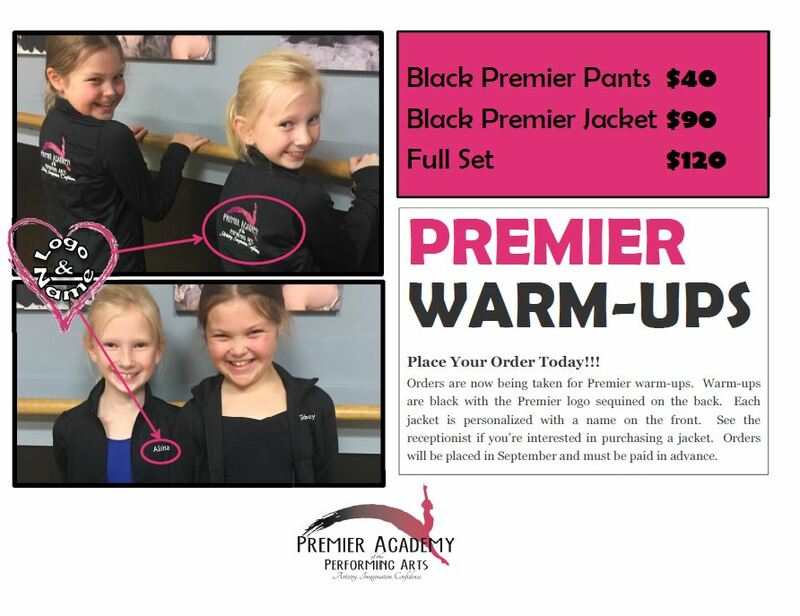 Orders are now being taken for Premier warm-ups. 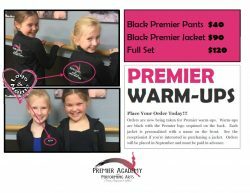 Warm-ups are black with the Premier logo sequined on the back. 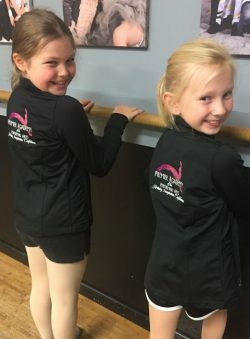 Each jacket is personalized with a name on the front. Sample sizes will be available for viewing in our Premier store. See the receptionist if you’re interested in purchasing a jacket. Orders will be placed in September and must be paid in advance.